authored the Amazon bestseller The Nonfiction Book Proposal Demystified: An Easy-Schmeasy Guide to Writing a Business Plan for Your Book (Pure Spirit Creations, July 2014). 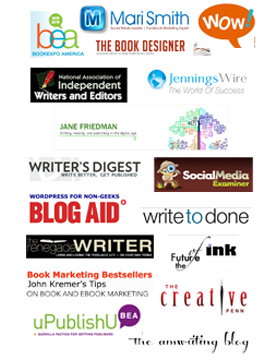 authored the Amazon besteller The Author Training Manual: Develop Marketable Ideas, Craft Books That Sell, Become the Author Publishers Want, and Self-Publish Effectively (Writer’s Digest Books, March 2014). wrote an essay about Kabbalistic creation and Jewish pregnancy rituals that was published in Spiritual Pregnancy: Develop, Nurture & Embrace the Journey to Motherhood (Llewellyn Worldwide 2014) by Shawn A. Tassone, M.D. and Kathryn M. Landherr, M.D. (Llewellyn 2014). authored the Amazon bestseller How to Blog a Book: Write, Publish and Promote Your Work One Post at a Time (Writer’s Digest Books, May 2012). included in four existing anthologies, including an edition of Sh’ma, and one upcoming anthology. self-published 11 other short books on personal growth and practical spirituality that are available on her websites or on Amazon.com.